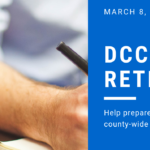 The DCCWC is organizing a retreat to help prepare for the 2019-2020 county-wide plan of action. 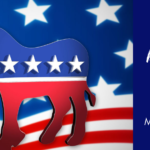 We want it to be developed by county-wide Democratic and other organizations invested in the development of a Democratic Party of the future. 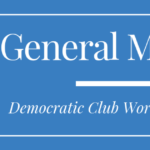 Whitney Palmer, a member of the DCCWC, is leading the effort to bring Democrats together to participate in the 19/20 election with the retreat uniting Worcester Dems into a cohesive effort. 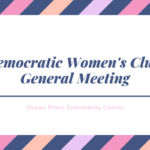 The planning retreat will be held on March 9 at the Community Center in Pocomoke City. 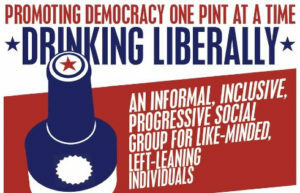 There is only room for 20 at the center, so we will have to allot spaces to the Clubs, the Central Committee and other interested organizations and Dems. Estimated number of allotments of spaces at this time is : DWC 3, DCWC, 3 DCOCB 2, DCCWC 5 for a total of 15 leaving 5 for other organizations. You can call and leave a name if you are interested 410-629-9107.